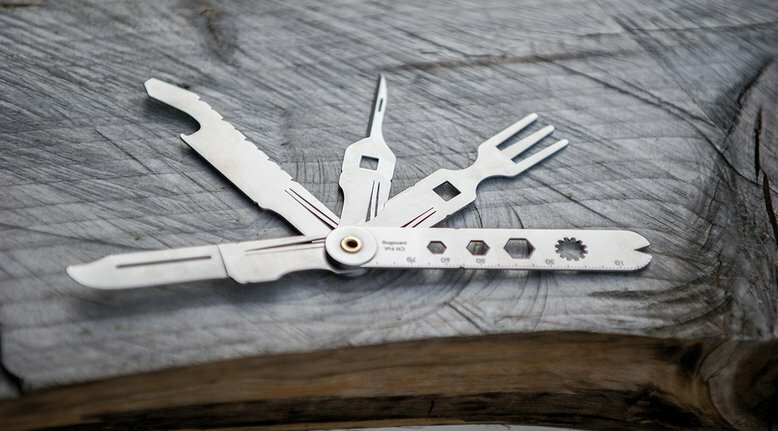 If you're looking for a multi-tool that is geared towards camping needs, check out the Crono Pocket Knife. The knife is sent off to Germany to be sharpened, and is very slim and compact. The knife includes: Nail drawer, wire stripper. hexagon wrench, knife blade, bradawl and sewing awl, fork, fish scaler, and much more. At the time of posting the price was $33.